Leica has announced the Leica SL, a new full-frame mirrorless system camera targeting professional photographers and enthusiast collectors who celebrate the firm's rich imaging heritage. Discerning gadget fans will know full well that the last few years have seen the camera tech torch passed from digital SLRs to a new breed of smaller and more stylish compacts with interchangeable lenses – indeed, T3's Camera of the Year is Olympus's OM-D E-M5 Mark II, the very epitome of this trend. What's particularly interesting about this new wave of compact system cameras (CSCs) or mirrorless interchangeable lens cameras (MILCs) and T3 assures you that other equally silly acronyms are available, is that SLR giants Canon and Nikon have been caught somewhat on the hop by nattier, tech-infused models from the likes of Panasonic, FujiFilm and the aforementioned Olympus. In fact, attempts from 'Canikon' to make up lost ground have fallen short of expectations to date. This is why Leica's entry into the full-frame CSC market will excite many. Much revered by professional photographers and camera connoisseurs for its premium models, handmade to exacting standards by Germany's finest optical craftsmen, Leica has clearly identified that professional photographers are increasingly eschewing traditional SLR-based systems for mirrorless systems promising smaller designs (although the Leica SL isn't exactly miniature), faster autofocus and great video functionality. The Leica SL (Typ 601), to give it its full name, certainly trumpets a professional spec. It's a full-frame camera, which means its 24-megapixel CMOS sensor can output images of equivalent size to a traditional 35mm film camera – something camera manufacturers have only recently been able to incorporate into their more compact housings, although Leica is by no means the first in this regard; that accolade belongs to Sony. As with many Leica models, the design of the SL is slick and minimalist, marrying retro chic with modernity and built to a reassuringly robust standard – the body is made from solid aluminium and Leica insists the high-quality seals will protect camera and lens alike from dust, moisture and spray – something kit-bashing pros and outdoor enthusiasts will appreciate. The casing houses the latest in imaging tech, including an electronic viewfinder constructed around Leica's new EyeRes technology. Leica claims this has an imperceptible lag time and a 4.4-megapixel resolution. The nearly three-inch touchscreen display on the rear, meanwhile, offers a viewing angle of up to 170 degrees. There's also Wi-Fi connectivity built-in and an app for iOS and Android, which makes pairing the SL with a smartphone a doddle. Leica says the SL's Maestro II image processor delivers the best performance in a professional camera to date – its 2GB buffer memory enabling photographers to capture 24-megapixel stills at up to 11 frames per second and 4K video at 30 frames per second. And while we're on the subject of video, the SL can record at up to 120 frames per second in full HD and 30 frames per second in UHD. Leica is launching the SL with a new lens – a 24-90mm standard zoom, although if the Wetzlar-based firm's previous optical pedigree is anything to go by then the Leica Vario-Elmarit-SL 24-90mm f/2.8-4 ASPH will produce anything but standard image quality. Further lenses, including a 50mm and a telephoto zoom plus a range of accessories, will follow. Existing Leica owners will no doubt be relieved to know that most existing Leica lenses are also compatible, as long as the appropriate adaptor is employed. However, if you're sorely tempted by this cornucopia of cutting-edge camera tech and the prospect of owning such an esteemed marque, you might take a sharp intake of breath upon hearing that the SL is priced at £5,050 (body only). The standard zoom lens will set you back a further £3,150. But then you're reading T3 so you'll understand that quality rarely, if ever, comes cheap. 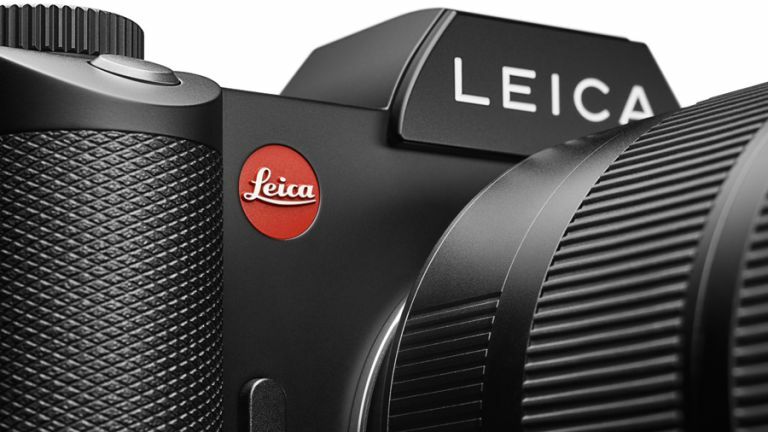 The Leica SL will be available in the UK from 16 November. Liked this? Then check out our guide to the best compact system camera.